The online video sharing site YouTube is this generation's MTV. Artists like Gotye and PSY have found mainstream success after their videos went viral. Yet the number of cover songs — from toddlers singing The Beatles to teens tackling Led Zeppelin — eclipses original work by a long shot. Between those two extremes is an alternative universe of aspiring professional musicians who use cover songs on YouTube to build fan bases of their own. What these musicians once did for love and fame is starting to pay off in cold, hard cash. If you search for a song called "Payphone" by Maroon 5, you'll find the original, and you'll find the Jayesslee version, the P.S. 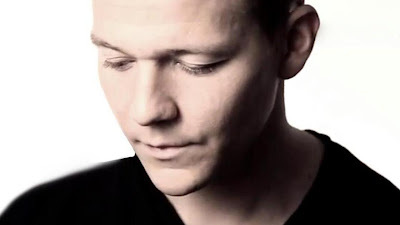 22 version and one by Tyler Ward, a 24-year-old singer and songwriter from Denver with an all-American look and a sound that lives somewhere between indie pop and country. Ward uses YouTube to promote his music career — he posts covers trying to draw new fans. "I started, actually, doing cover songs in the bar, trying to make ends meet every weekend," he says. "So when I figured out what YouTube was, I just figured I could put these online, see what happens." What happened was an opening slot for the Jonas Brothers, a performance on The Ellen DeGeneres Show and a headlining tour through Europe, the U.S. and Canada. But he could have made more money back at the bar singing those same songs. "The challenge is, when an artist decides to cover a song, they don't actually have the rights to make money on that song," says George Strompolos, the CEO of Fullscreen Entertainment. Tyler Ward is one of his clients. He explains that, because YouTube is free in the same way that broadcast TV is free, all of the money that musicians, record labels and music publishers make right now is through advertising that runs with the videos. Until recently, cover songs were the exception. YouTube couldn't run ads on those videos. An aspiring musician like Ward could put hours of work into a video, hoping for attention, but not get a single dollar. "The problem is," says Strompolos, "neither will the original songwriter, because, again, there are no advertisements." The issue is the legal rights to the song. That's held by publishers or songwriters, and if anyone wants to make money on a recoding of a song, they have to make a deal. This can be tricky when talking about the thousands of people who upload covers to YouTube. Enter Fullscreen and one of its rivals, Maker Studios. They're in the business of connecting YouTube creators with possible advertisers. These companies put talent agents, producers and ad sales all under one roof. Earlier this year, Fullscreen and Maker struck a deal with one of the largest song rights holders: Universal Music Publishing Group. This opened up Universal's massive catalog — decades of music from Fleetwood Mac to Adele — for a revenue sharing plan. Now the musicians who work with Fullscreen and Maker can earn money on covers. "What we've done with teaming up with Universal Music Publishing Group is allow the artists who cover those songs to have the license to run the advertisements," Strompolos says. "And that way if their cover songs on YouTube get hundreds of thousands or millions of views, it's actually worth money to that cover artist, and the original songwriter is also compensated." None of the parties involved in the deal will disclose exactly how the money is shared, so I asked Josh Cohen, founder of online video news site Tubefilter, to give me a sense of how this all works for the YouTube musicians. "The general revenue split for advertising on YouTube is 45 percent/55 percent. That's 55 percent to the creator, 45 percent to YouTube," he says. "There may be varying deals depending on the company that YouTube's working with, but that's pretty standard." Ads pay content creators — that includes the creators of cover songs — based on what's called CPM, which is cost per 1,000 views. "Content creators on the low end are making a $1 or $2 CPM from YouTube," Cohen says. "The benefits of signing up with a company like Maker Studios or Fullscreen is that those content creators can get guaranteed higher rates for their videos. So Maker Studios or Fullscreen might offer them a $2 or $3 CPM, or even higher for a period of time, which is more money than they'd be making from YouTube alone." YouTube pays the music publisher and original songwriter, and the cover artists get a little money. They also get to make names for themselves while riding the popularity wave of hit songs. Meanwhile, businesses like Fullscreen and Maker Studios are, in a way, becoming de facto A&R departments for the music industry. Maker recently got a $36 million injection of cash from Time Warner Investments. Courtney Holt worked with MySpace Music and is now the chief operating officer of Maker Studios. A serious music fan, he believes there are infinite possibilities to mine the back catalogs of the music publishers. The YouTube generation, after all, hasn't heard everything yet. "I think in some ways we have a responsibility to reintroduce this generation to really great music, not just new music," he says. "Because if we have one talent who loves Justin Timberlake, maybe they haven't really discovered the Michael Jackson catalog or the Motown catalog or the Stax catalog. And you start to think about, 'What if I go back a little further? What am I going to find?' "
What musicians are finding is that cover songs can simultaneously launch their YouTube careers while helping to cover the bills. No more spending your post-college years singing in bars while living in your father's basement, like Tyler Ward did. "He was like, 'You've got two years, son. You've got two years, and then you're going to have to get a real job,' " he says. "About a year and a half later, I started doing the cover thing and my whole world changed. I was able to move out to L.A., support myself, buy a car, buy a house — that kind of thing." Music to any aspiring musician's ears.